Pimm’s is a famous cocktail in England, which can be made in different ways. There are indeed six different sorts of Pimm’s which contain different alcohols. 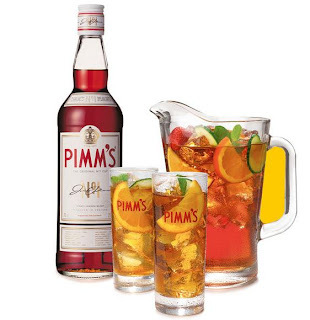 You can find Pimm’s based on gin, Scotch whisky, brandy, rum, rye or Vodka. Everyone in England knows about Pimm’s cocktails. They are as common as British tea! Where does this tradition come from? Once upon a time, James Pimm produced Pimm’s. When he woke up one morning in 1823, he did not know that the brevage he was about to invent would become the greatest cocktail in England, ever. James owned an oyster bar in London and began to serve this fabulous drink made of gin, quinine and a secret mixture of herb. Pimm’s was said to aid digestion. Pimm served his cocktail in a special tankard, commonly known as Pimm's No. 1 Cup. Gradually, Pimm’s expanded: several years after its creation, the alcohol began to be sold in bottles to others bars. Pimm’s No. 1 has so much success that its creator decided to expand the brand by introducing two other drinks that he named after it. Pimm’s No. 2 and No.3 were born. Their difference was in the alcohol used. Pimm’s No. 2 is made with Scotch and No. 3 with brandy. Eventually six Pimm’s cocktails were created. Nowadays, people still often drink Pimm’s in England, especially during summer. - Do you like Pimm’s? - Yes I do, it’s such a good drink! - Is Pimm’s really common in England? 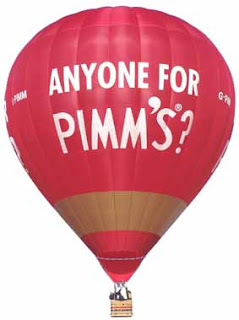 - Yes, especially in the South and when the sun shines because Pimm’s is really associated with sun and is drunk during garden’s parties for example. - Who drinks Pimm’s? Young or old people? Boys or girls? - Everybody drinks Pimm’s but maybe more girls are fan of it than boys. - Do you prefer Pimm’s or Irish coffee? « Take a jug or glass and fill it with ice, mix one part Pimm’s No. 1 with 3 parts chilled lemonade, add some mint, cucumber, orange and strawberry ». (http://britishfood.about.com/od/drinkingtraditions/a/pimms.htm).